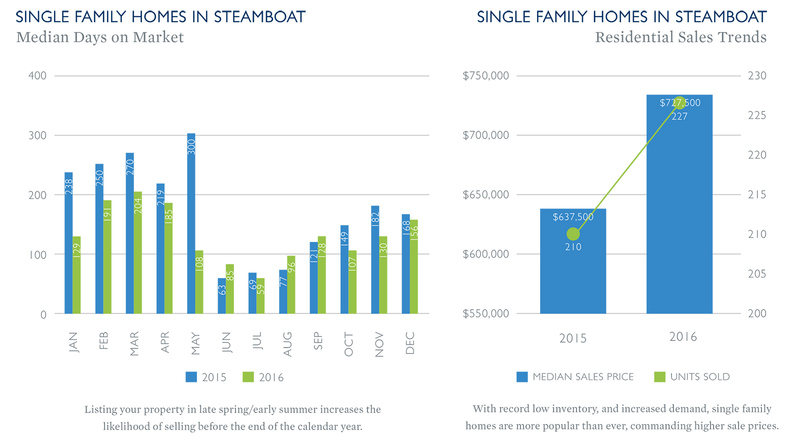 Looking over the real estate sales trends for 2016 vs. 2015 for different local areas and property types, we begin to see some common themes. 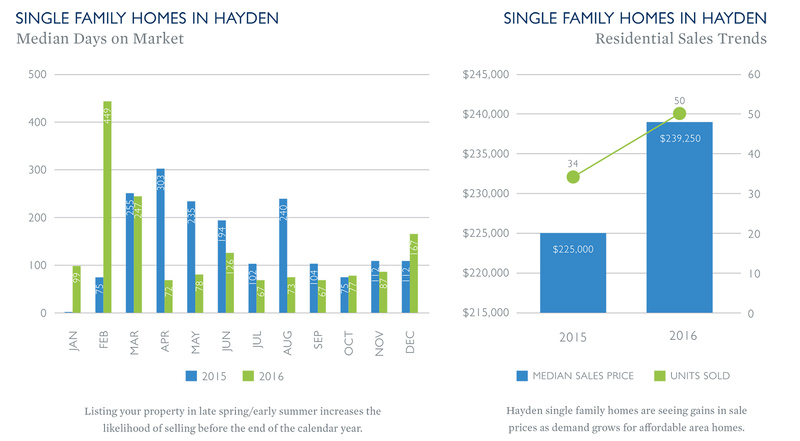 The biggest takeaway from the graphs we've prepared below is that listing your property in the spring increases the likelihood that your property will sell in the calendar year. For buyers, now is when we begin to see new inventory come onto the market but there's a short window to best take advantage of these opportunities. With properties shown to spend less days-on-market, buyers need to be prepared to act during the busy summer selling season. As we've discovered, properties that sold in July or August in 2016 spent a median of 62 to 119 days on market. This means that those properties went on the market in early to late Spring. Properties that listed in late Summer or Fall typically didn't sell until the following year, with a longer median number of days on market. 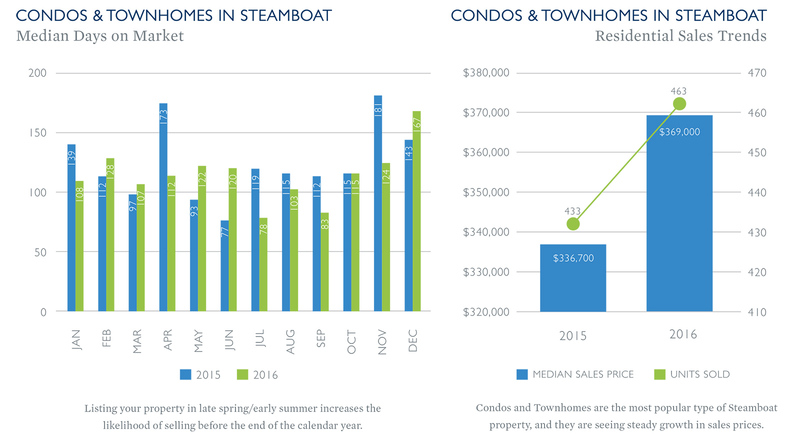 Both the median sales price and number of units sold increased for all property types and areas except Stagecoach units sold (down 9 units YOY). 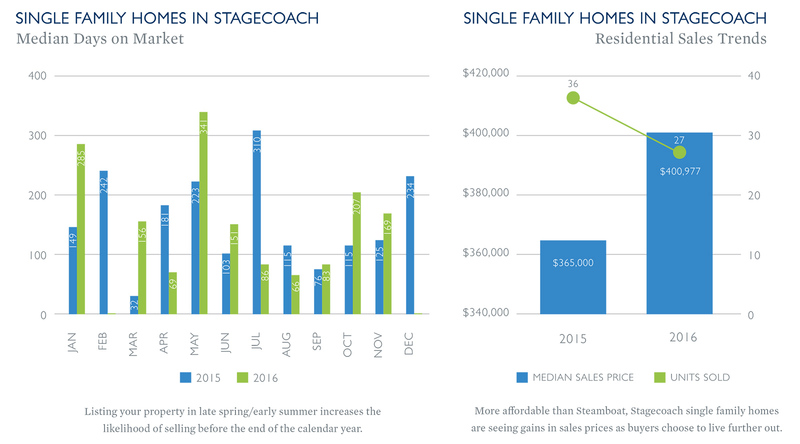 But the median sales price of Stagecoach single family homes increased by $35,000 in 2016 over 2015.